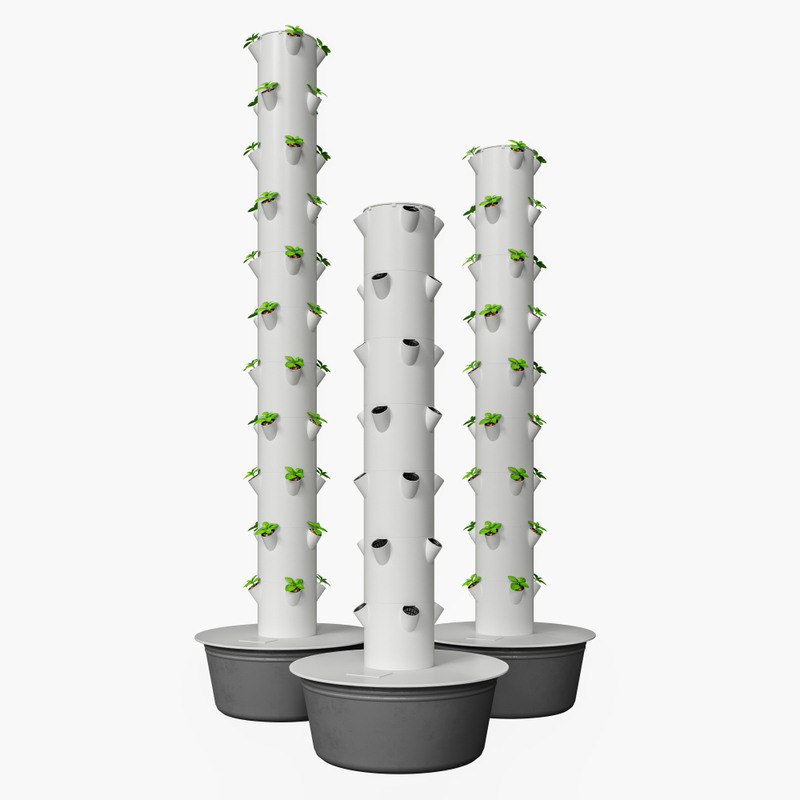 Hydroponics & Aeroponics systems use modular stackable growing pots, as illustrated here. Just one idea to consider this spring. Early spring is the time to dream big about your garden. This year, I’m going to grow 10 varieties of tomato — and I will not let a weed be among them! But any grand vision, if it is to be executed, must be matched with the right implementation plan and tools. Here are a few ideas to help you brainstorm. There are plenty of soil testers, moisture meters and other such devices for monitoring garden conditions. These days, many of them involve an app. But this entirely unwired gadget might just beat them all. Simply stick it into the soil and it will immediately tell you the pH levels, moisture levels, light intensity and nutrient levels (including nitrogen, phosphorus and potash) and whether your garden falls within the optimum range of each one. This device is so simple, you don’t even need batteries. Available at Amazon.com and elsewhere for about $30. For all the tech heads out there, here is the high-tech version of the garden monitor above. It does almost the exact same thing but allows you to monitor conditions from the comfort of your favorite armchair or a beach in Bali, all through an app on your phone. The other benefit is that it doesn’t just tell you whether or not conditions are optimal for the average plant; it includes a database of more than 7,000 species, with optimal growing parameters for each. You can stick it in the ground and find out whether that spot is best suited for asparagus, zinnias or anything in between. This gadget will have no bearing whatsoever on the health or productivity of your garden; it’s more about geeking out and impressing your friends. The idea is to record the growth of a single plant or an entire garden with time-lapse photography so that later you can watch the leaves unfurl and the flowers blossom, condensing weeks or months of growth into minutes and seconds. Both still photography and video versions of the camera are available. Turning a compost pile is essential for providing oxygen to all the microbes that do the dirty work. But it’s a pain, which is why compost tumblers were invented. There are several designs, but all of them involve a large plastic compost bin mounted on a rack with a crank or some other means to rotate it. The increased aeration accelerates the process of decomposition tremendously. Plus, the tumbling process ensures that the myriad ingredients in your compost are evenly mixed, further aiding decomposition. Rambo would love gardening if he got to use one of these. It’s like a flamethrower for weeds. Instead of tediously pulling weeds by hand or, God forbid, spraying herbicide, simply singe the botanical invaders with this propane-powered tool. The catch is that you can’t use it around plants you want to keep, as it will singe those, too, but you can use it to prepare planting areas that have become covered with weeds. It’s also useful for eliminating weeds on paths and paved areas. It’s environmentally friendly — as long as you don’t start a forest fire, that is. It goes without saying that this is an extremely dangerous tool if used in the wrong circumstances.